Wheildons can supply and install solar water heating systems throughout Lancashire. A solar water heating system creates hot water using the heat from the sun through a roof mounted pipe system and is so energy efficient that it can provide hot water throughout the year. A Vaillant solar water heating system can provide around 50-60% of your hot water. 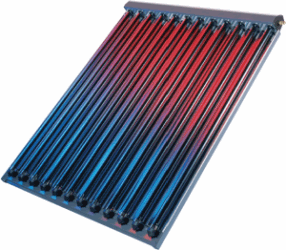 The solar system can work with an energy efficient boiler or immersion heater can also be used as a back up during the winter months when there is a short amount of sunlight. 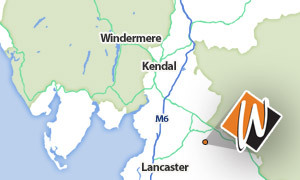 Wheildons has been operating in Lancashire since 1972 from our base in Low Bentham, which lies right on the Lancashire and North Yorkshire border. Our expert team of plumbing fitters have many years of experience and attend various courses to stay at the leading edge of the renewable sector. Wheildons recently passed the MCS assessment to gain MCS Accreditation. We have now also joined REAL, the Renewable Energy Assurance Limited Scheme. There are many benefits to having a solar water heating system installed, the main being the vast reduction to your annual fuel bills as well as reduce your dependence on limited fossil fuels. As solar water heating is a renewable source, you will help cut down on carbon dioxide emissions in turn helping reduce the countries carbon footprint. Have a look at our solar water heating project at The Borough in Lancaster, Lancashire. Wheildons is a plumbing company that specialises in renewable energy, especially solar heating. Based in Bentham, we regularly serve our customers throughout the North West, with many happy customers throughout Lancashire and the local area. If you are interested in our services or want a free consultation, please call us.